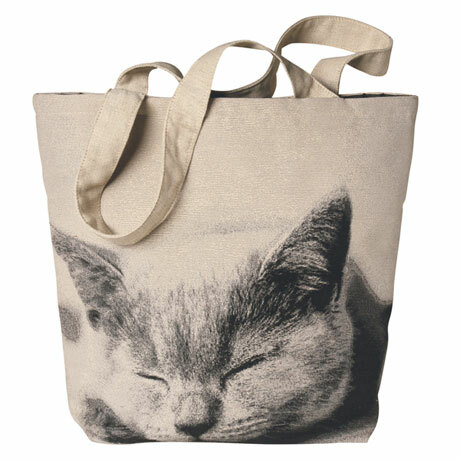 Most adorable tote ever? 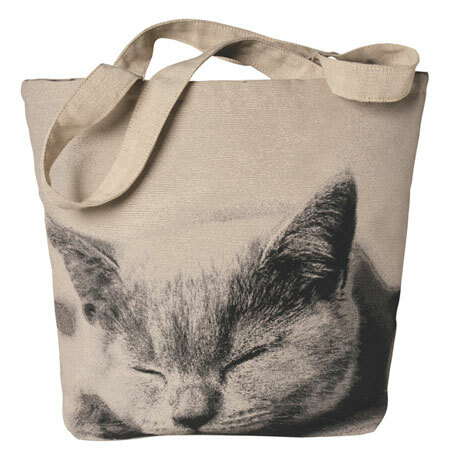 A soundly sleeping cat is printed on sturdy cotton-poly jacquard. 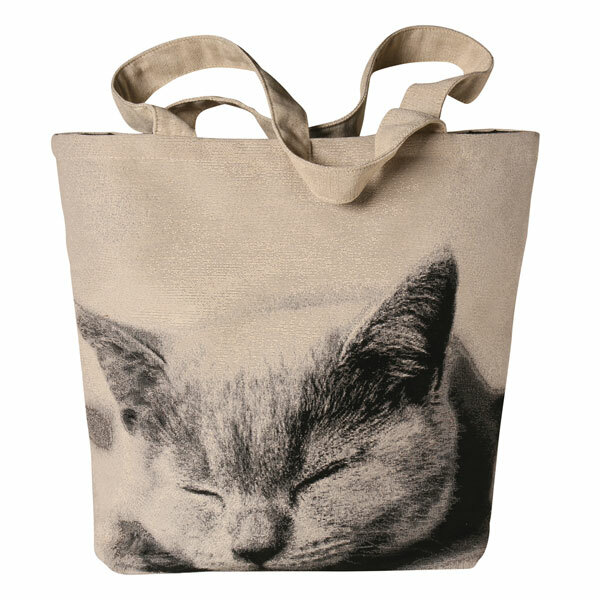 Tote is fully lined in polyester, finished with an interior zip pocket and a top zipper. 11"w x 13"h x 6"d; Double handles with 11" drop. Imported.